Runaway Horses Oceanside » General » Recipe » What's For Supper ? Grilled Cornish hens, baked beans, coleslaw, grilled zucchini, coated with Sweet Vidalia dressing and as an experiment, grilled apple quarters the apples were very good almost caramel tasting and very juicy on the inside. Toss the mango, avocado, tomatoes, cilantro, onion, garlic, salt, and lime juice together in a bowl. Cover and refrigerate for 30 minutes. Melt the honey butter in a skillet over medium-high heat. Add the shrimp; cook and stir until pink and opaque, 2 to 3 minutes. To serve, place a few shrimp onto a warm tortilla, top with mango salsa and fold up. Repeat with remaining ingredients. Chicken and Dumplings,green beans, and a fruit salad for dessert. big glass of tea,unsweet for me. Saute chicken in the bacon grease for 3 to 5 minutes per side, or until browned. Place chicken in a 9" × 13" casserole dish or pan. Slice your pork loin into one inch slices about ¾ of the way through. That way the roast is still connected in one piece. Place roast in a large crock pot and place the apple slices in the slits. Lay the bacon slices over the top of the roast, and sprinkle with brown sugar. Place lid on the crock pot and allow the roast to cook for 3-4 hours on high or 6-8 hours on low. Final cook time will depend on your crockpot. Slice and serve with the glaze below. Blend glaze ingredients in a saucepan over medium heat. Cook, stirring, until the mixture comes to a boil. Remove from heat and set aside. Bake uncovered for 35-40 minutes, at 400°C. If needed, Broil 6 for 5 minutes to get the bacon crisp. Grillin and chillin tonight, ribeyes, portabello mushrooms, corn on the cob and bacon wrapped asparagus, spinach strawberry salad already made and for dessert banana pudding of course alternatives for the carb watchers. Want to know the easiest way to cook corn on the cob? Throw it in the oven at 350° for 25-30 minutes. That’s it. Leave the husk on, it will trap in the moisture, leaving you with juicy, tender corn. 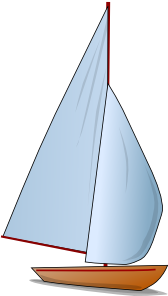 The husk and silk will peel away easily once it’s cooked. Cut off the large end and it slides right out with no silk. 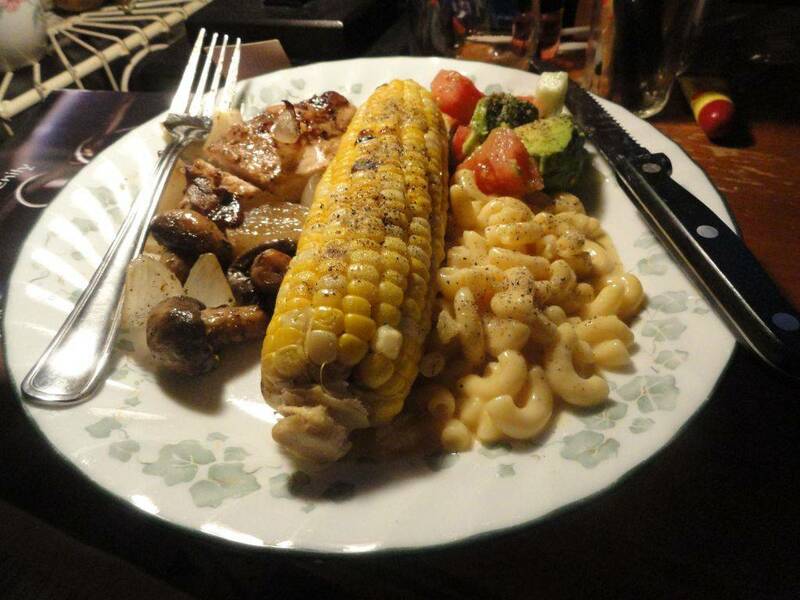 I do Corn on the grill with husks, turn it intervally,just liked my post described. Peel Onion and puree-set inside. Semi-puree one can of corn-set aside. Take about a cup of shrimp and semi-puree (this will set a flavor throughout the bisque)-set aside. In a large pot ,melt butter and sauté onions. Add in one tbsp. of Down The Bayou Seasoning, cream cheese- Cook until cream cheese melts down making sure there are no lumps. Add in chicken broth, half & half, shrimp and corn. Bring to a boil then reduce to a simmer for approximately 25-30 minutes, stirring occasionally. Mix corn starch and water-pour into pot, continue stirring until mixture thickens. While the pot is simmering, it is a good time to adjust the seasoning. This will be a spicy bisque and should have some bite to it. Take 1-1/2 tsp of Down The Bayou Seasoning -stir in slowly til dissolved. In a large stockpot, sauté onions and celery in olive oil until softened, about 10 minutes, stir in garlic granules. Combine chicken broth and flour and stir until smooth. Add to celery mixture and bring to a boil. Reduce heat and simmer until thickened, about 30 minutes. Add lemon juice, cayenne and Tabasco sauce. Add shrimp and cook about 5 minutes. Add crabmeat, green onions and parsley and cook for an additional 5 minutes. *Scoop your rice into a flat-bottom cup, press down to mold, then put it on the plate. Makes a nice fancy presentation! Pot roast in the crock pot, coleslaw and new yellow squash sauted, strawberry fluff for desert, I got this going early, busy day. Preheat the oven to 350 degrees. Sprinkle the garlic powder, seasoned salt, and pepper on both sides of the chicken. Bake for 16 minutes. Meanwhile, make the creamed spinach. Over medium-high heat, melt 2 T olive oil in a skillet. Add in the onions and saute 2-3 minutes. Add in the spinach and garlic. It will shrink ridiculously. When it's cooked through, stir in the cream cheese and parmesan cheese. Continue cooking and stirring until the cream cheese is melted. Remove from heat. For the mushrooms, melt butter and 2 T olive oil in a skillet. Put the mushrooms in and cook until browned all over. Don't season with salt until they are browned or they will never brown. Deglaze the pan with the wine. Add in the garlic and season with salt and pepper. Cook until most of the wine is cooked out. Flip the chicken pieces over. Divide the spinach and mushrooms over the top of each breast. Lay two slices of cheese over each piece of chicken. Cook another 12-14 minutes or until cheese is browned and chicken is done. What's this? 'before I hit the hay I'll have an ice cream sandwich. I have never heard of this sort of sandwich, i hope it isn't what it sounds like! Refrigerate the meatballs for about 20 minutes, or while you’re cutting the veggies and preheating the grill (medium heat) or oven (375 degrees F). Thread each skewer with a meatball, pepper, meatball, and alternate leaving enough room on each end of the skewer for picking up with your hands. If you want to grill the skewers, spray the grill with nonstick spray or brush with olive oil. Then, gently place the skewers on the grill and grill for about five minutes on each side – make sure to test the meatballs to be sure the center is cooked. If you want to bake the skewers, then lightly grease a baking sheet and gently place the skewers on it. Bake for about 15 to 20 minutes, until the meatballs are golden brown and cooked all the way through. Turn the skewers halfway through the baking process. Serve with rice and extra teriyaki sauce for dipping, if you’d like. I had a bag of already cooked meatballs in the freezer, I soaked them in teriyaki sauce, added the veggies and threw them on the grill, quick, easy and they were delicious. top with cheese and bake for 5 minutes more. These are a great appetizer or go nicely with a steak! Cook bacon until crisp. Drain on paper towel. Crumble and set aside. Remove mushroom stems. Set aside caps. Finely chop stems. In a sauce pan over medium heat, melt the butter. Cook and stir the chopped stems and onion until tender, about 5 minutes. Remove from heat. In a medium bowl stir together the mushroom/onion mixture with bacon and 1/2 cup of cheese. Mix well. Spoon into mushroom caps. Bake at 400 for 15 minutes. Remove from oven. Top mushrooms with remaining cheese and sprinkle with parsley. Crab chunks,breaded and fried Zucchini, Shrimp.,mashed potato croquettes, my version of hush puppies,steamed broccoli,sliced tomato homemade Cocktail sauce, Tea, dessert cottage cheese with peaches on top. whisk together olive oil and savory herb envelope This is delicious! My new favorite sandwich is a BLT but with a twist, in Pensacola I ordered one and it came with a huge slice of fried green tomato in place of the regular red tomato, it was delicious. I have had that before also, and they are delicious. 326 Re: What's For Supper ?